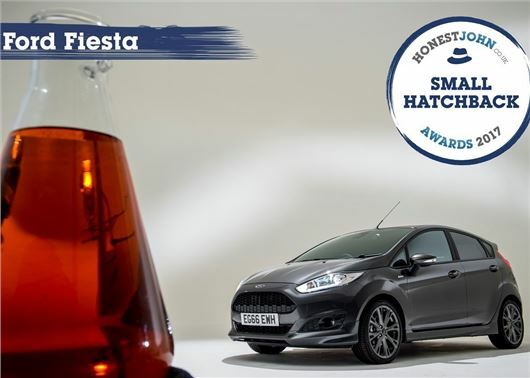 The Ford Fiesta has been named the Most Popular Small Hatchback at the Honest John Awards 2017. The Fiesta reassured its status as Britain's favourite small hatch by generating more page views than any of its rivals. Dan Powell, Managing Editor of HonestJohn.co.uk said: "The Fiesta has been Britain's best-selling car for a number of years now and it isn't difficult to understand the unwavering support. All Fiestas are good to drive, practical and powered by Ford's efficient range of petrol and diesel engines. “In our opinion, few small hatchbacks come close to matching the everyday usability of the Fiesta and this is reflected in the fact it has yet again won the most popular Small Hatchback category at the Honest John Awards." Not surprised at its popularity. I prefer my `66 reg. Fiesta ecoboost 125 to my `65 reg Lexus 300h in all-round drivability! Superb car (likewise my wife`s `16 reg. BMax ecoboost 140).